Burnley travel to West Ham tomorrow and come up against David Moyes who was in charge of Sunderland last season when we met them on four occasions. Moyes replaced Slaven Bilic earlier this season and it was one of his coaches, Stuart Pearce, who spoke to the media ahead of tomorrow’s game. 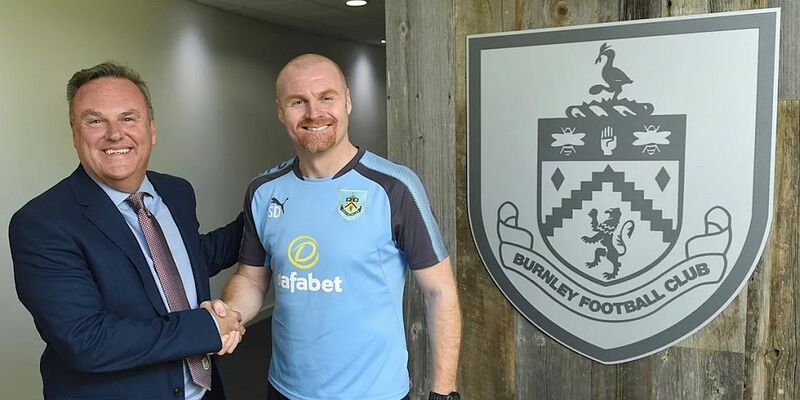 Pearce is a good friend of our manager Sean Dyche from their Forest days and share a love of music, but it is football tomorrow and Pearce, said: “I think we’ve got to show some character, especially at home. We’re playing a well organised Burnley side, and a side who galvanised a victory last weekend. They’ve been playing particularly well. Their results have probably not turned around and shown us the whole picture. They are a good side with an outstanding manager. Pearce believes there have been positives, despite the results, in recent games, none more so than the emergence of Declan Rice, the young defender who has been promoted. “Every time you take to a pitch, there’s a learning curve to be had,” Pearce added. “We had young Declan in the side and every minute he gets in a Premier League match, and bear in mind he played at Swansea for ninety minutes, every minute he gets is a bonus to us as a football club. It’s money in the bank for us as a football club in regard to his knowledge. West Ham says each match and each win will be key until the end of the season. He added: “I think they are always important, three points in the Premier League. The profile of the Premier League is extending year on year, week on week even. That’s probably the one thing that has surprised me a little bit, the profile of each individual game and how the media spotlight every individual game. Sean Dyche saw Burnley beat Everton last week to end a run that had seen us slowly increase our points total with some draws. The Everton win took us to forty points. “To get to forty points at this stage of the season is very pleasing and the lads have earned the right to do that,” he said. “It brings everyone that nice feeling of a good job done so far and how far can we go from here onwards. We have expressed that with the players as well. Now’s almost that time to hopefully have that little edge of ‘shoulders back, let’s take it on’ and that little bit of nervousness that comes on a tough run dissipates quickly. He’s always said he wants the team to improve year on year and he’s sticking with that as we look to go beyond our current points total for the first time in the Premier League. “The main goal stays on being better than last year,” Dyche added. “Now it’s about taking on the league in order to get as many points as possible and to show ourselves, first, that we are continually moving forwards.